The Pediatric Urology program at Dell Children’s Medical Center provides medical and surgical treatment for the full spectrum of disorders of the urinary system and genital tract. Nationally recognized by U.S. News & World Report as one of the best pediatric urology programs in the country, our department is staffed by experienced board certified pediatric urologists as well as certified nurse practitioners and physician assistants. 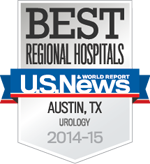 Our pediatric urology team is nationally recognized for their expertise in addressing a range of concerns. Our expertise in pediatric urology is coupled with our passion for children —we understand that children and their families require a special kind of attention during diagnosis and treatment. Our full spectrum of services range from common problems, such as day or nighttime wetting, to the treatment of complex disease states to minimally invasive and robotic surgery. 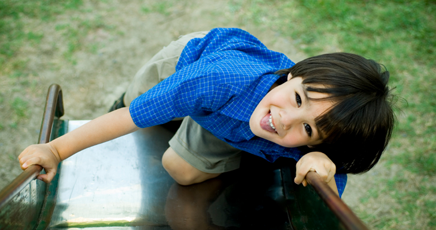 Check out the latest news featuring our pediatric urologists. Have a loved one at Dell Children's? Choose a card online, write your own note, and have it sent directly to their room.